ISBN 0634077724. 9x12 inches. Chad Johnson Signature Licks. 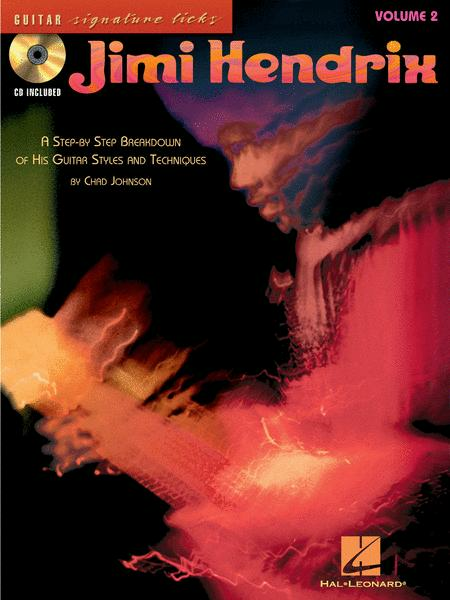 Learn 12 more Hendrix signature songs in this detailed book/online audio pack featuring a step-by-step breakdown of rock music's greatest guitarist's style and techniques. The songs covered are: All Along the Watchtower • Angel • Crosstown Traffic • Star Spangled Banner (Instrumental) • Stone Free • Freedom • I Don't Live Today • Machine Gun • Third Stone from the Sun • and more.